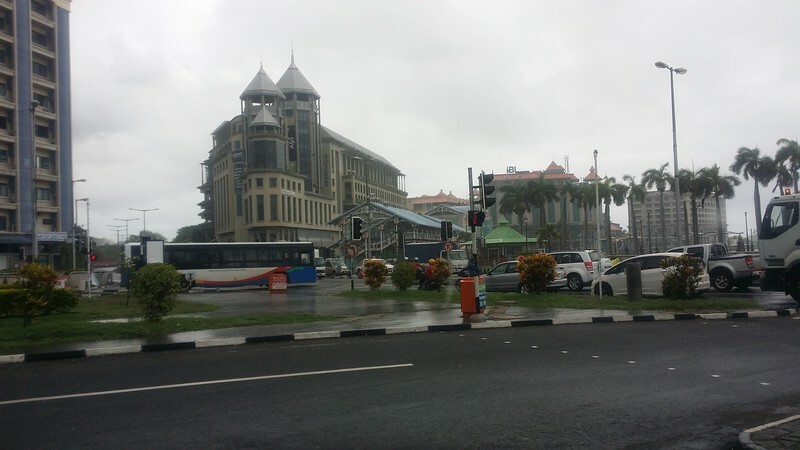 Before sleeping last night, I vowed that even a rainy day won’t stop me from visiting Port Louis today but I awoke to a gloomy morning again, dark with overcast low clouds. ‘Could have been more worse’ I uttered to myself. 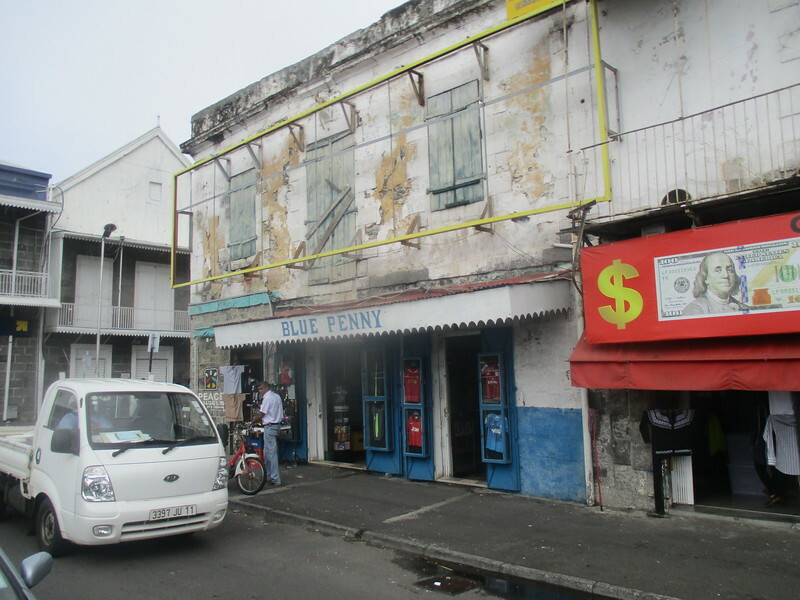 Taking the cue from the movie ‘Labu Labi’ when Labu answered to Labi ,’Hentam je la’, ( Just do it ), I quickly organised myself and after breakfast I walked to Mahebourg town to catch the bus to Port Louis. 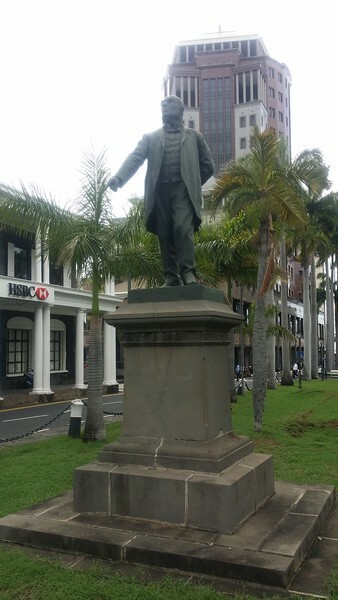 I hopped on the bus and there I was on my way to Port Louis …. Que Sera Sera. 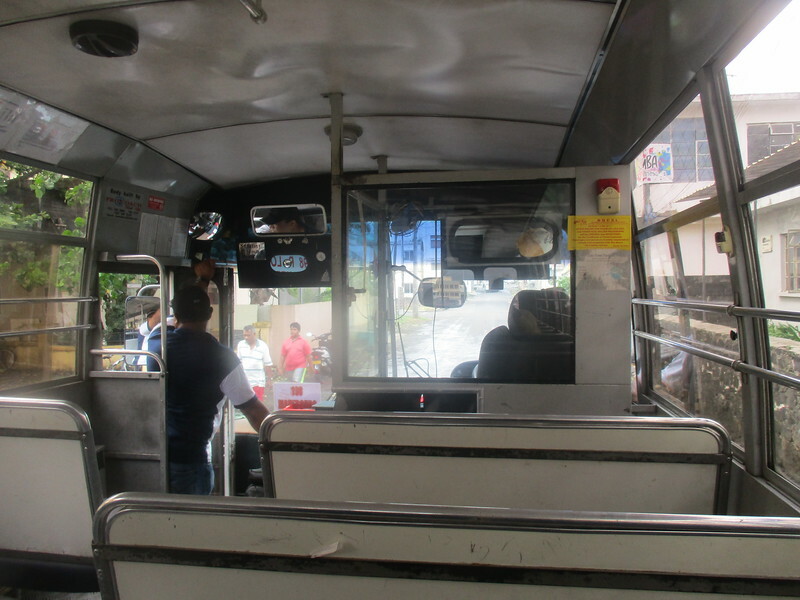 The bus ride took me more than an hour passing through small towns and hamlets which were affected economically by the new highway according to the lady who sat next to me. The fields of sugarcane plantations and farmers tending them filled the landscape during the journey. 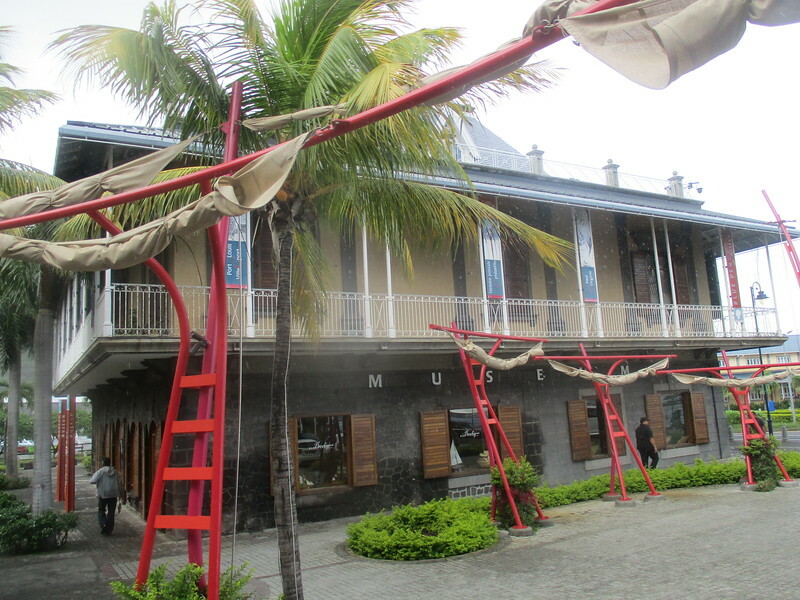 Fifteen kilometres south of Port Louis is the town of Ebene which is the new satellite town of Mauritius, built as the new technology hub for Mauritius and impressive enough for a short stop which I planned on my way back. 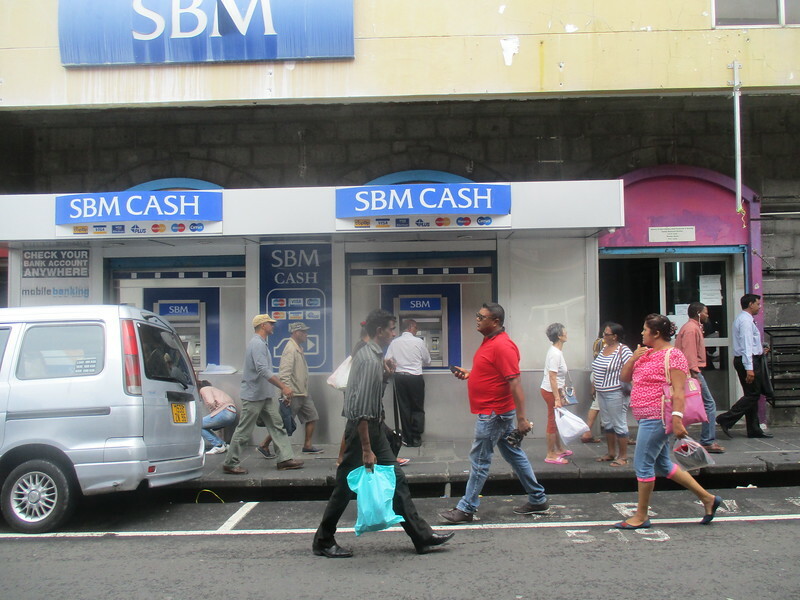 The bus to Port Louis. 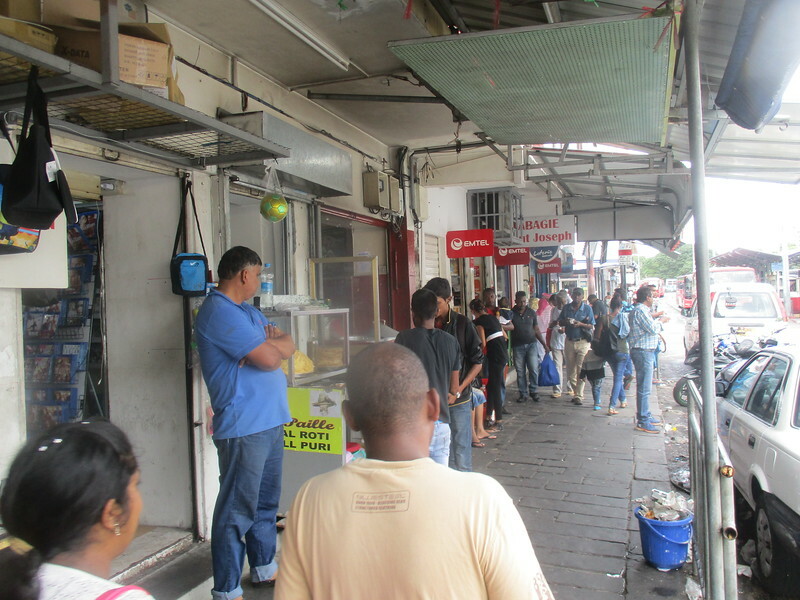 Eatery @ Port Louis Bus Station. 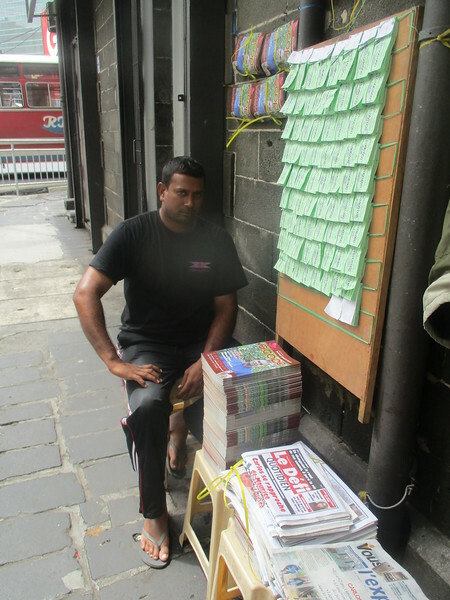 Vendor @ Port Louis bus station. 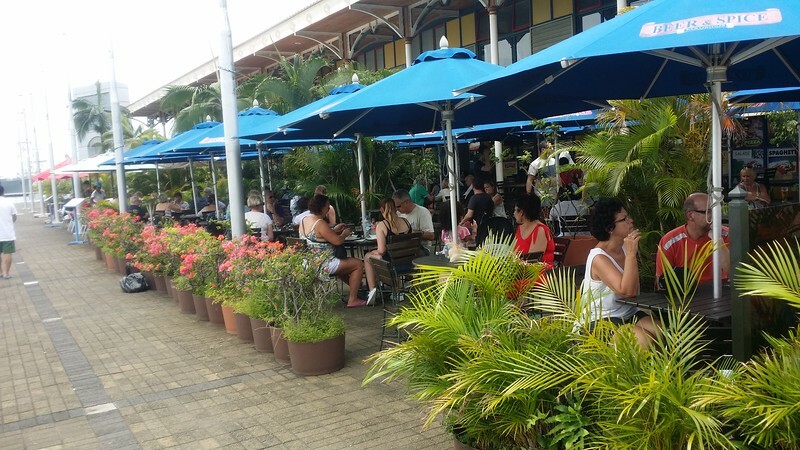 Restaurant at Port Louis bus station. 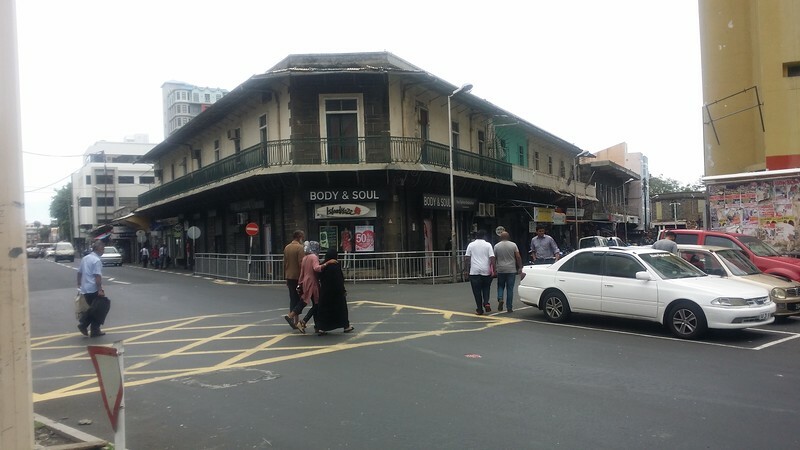 Street at Port Louis bus station. As in any cities or towns.,the bus station is one of the best areas to mix, blend and witness the chaotic moments with the locals. 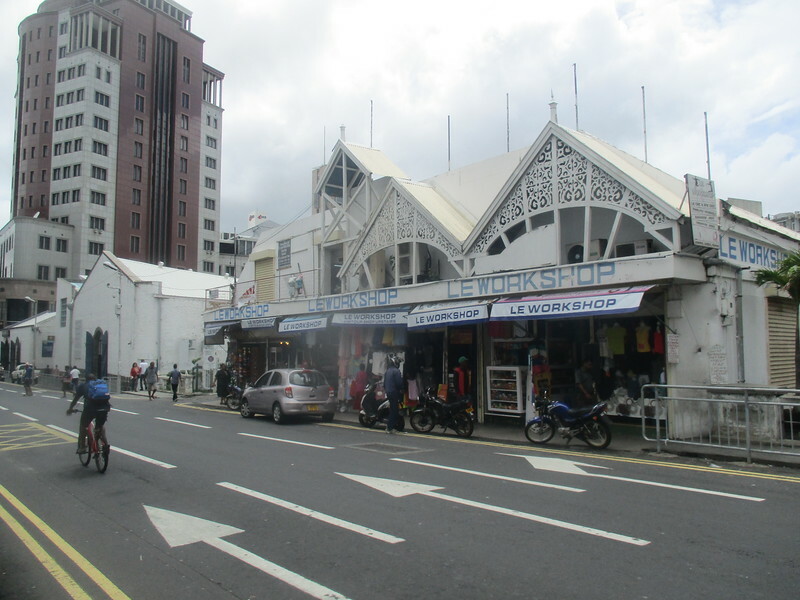 The Port Louis bus station is no exception as I could see passengers being hassled by touts acting as agents for the bus companies, I could hear the sounds of horns blaring as the bus lanes are being blocked by other buses that were left by inconsiderate drivers, there were vendors haggling with customers who were trying to get the best prices and the normal long queues of people buying tickets or food. 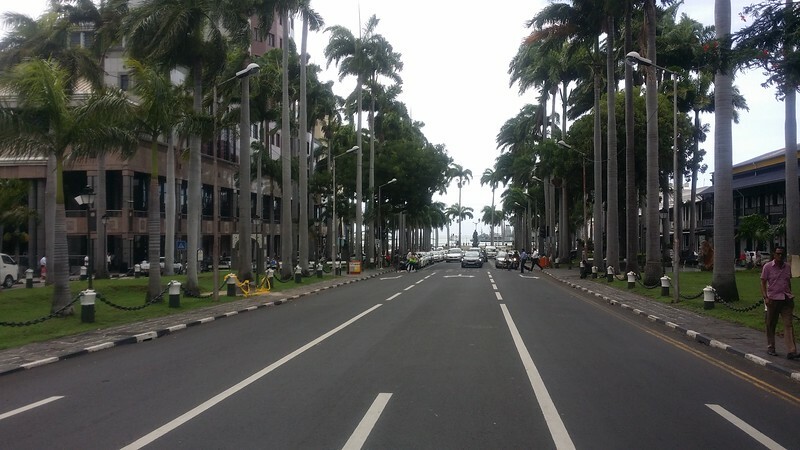 Roamed around the area finding the best spot for my favorite ritual, which is people watching which lasted only an hour as the weather was looking unfriendly enough,…dark clouds were looming and I had a lot of places in Port Louis to cover. 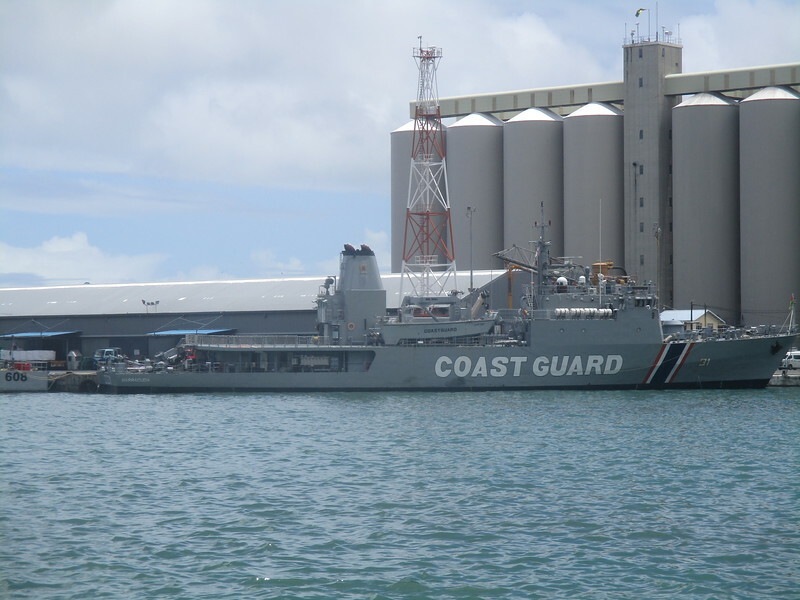 Mauritius Coast Guard vessel @ Port Louis port. 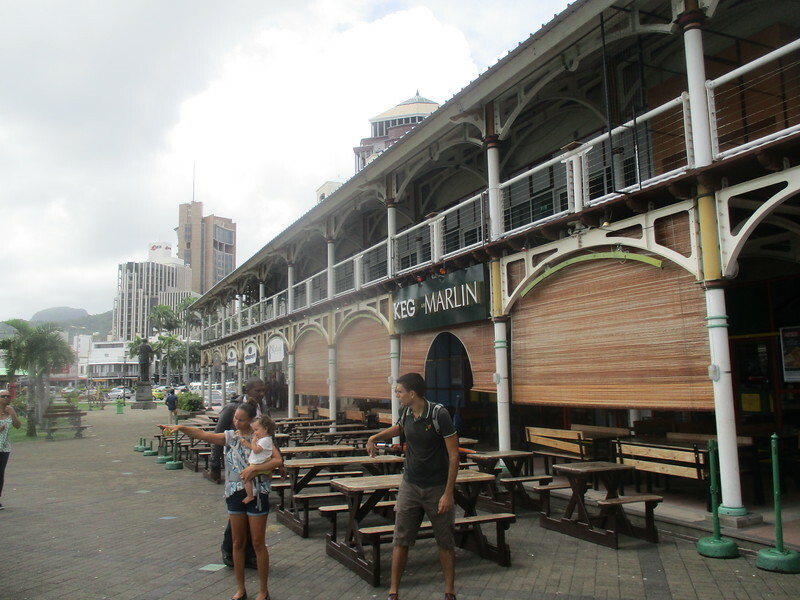 A ten minute walk from Port Louis bus station is the Caudan waterfront area where one could find high end shopping malls with high end restaurants and boutique hotels located around it. 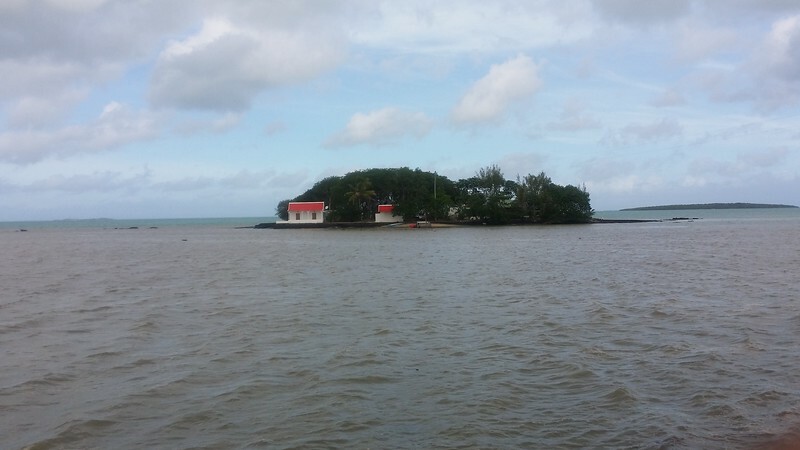 It was built around a fossil islet where it used to host an astronomic and meteorological observatory and even a powder magazine. 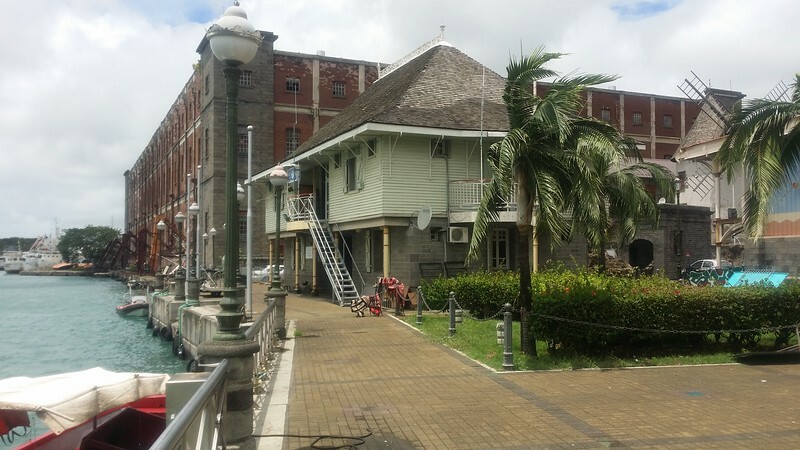 The Blue Penny museum which is located in the proximity of the Caudan waterfront used to be the dock offices. 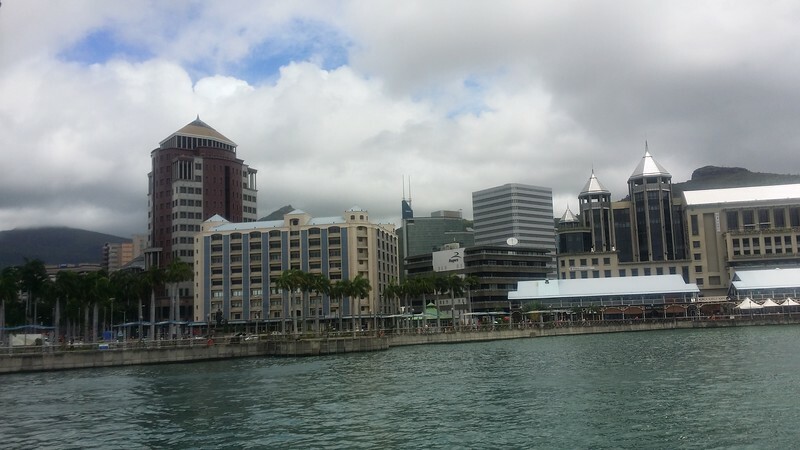 Also located in the Caudan waterfront area is a casino where the temptation of entering it was there but looking at the time frame that was limited due to the weather conditions, I just bypassed by it. Surprisingly! 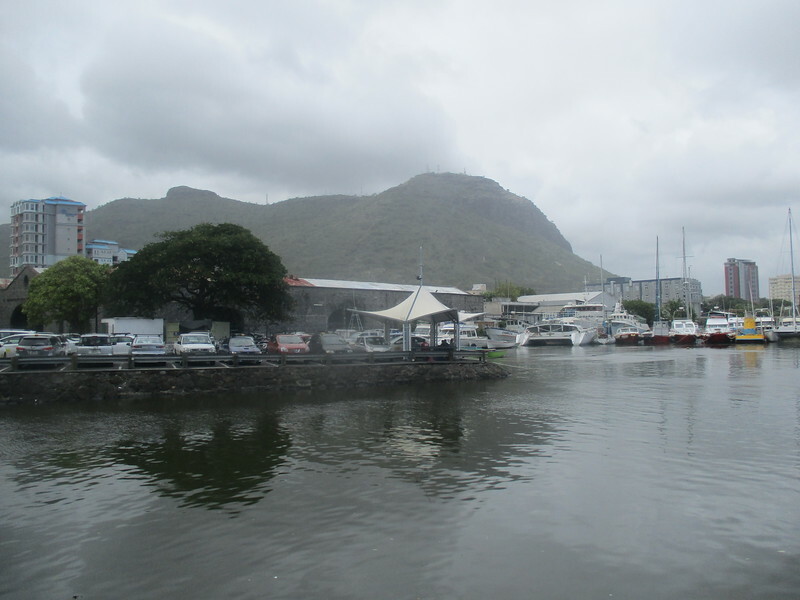 Took a short walk across to the Port Louis waterfront which was a stone’s throw away from the Caudan waterfront where the high end restaurants dominated the touristy area. 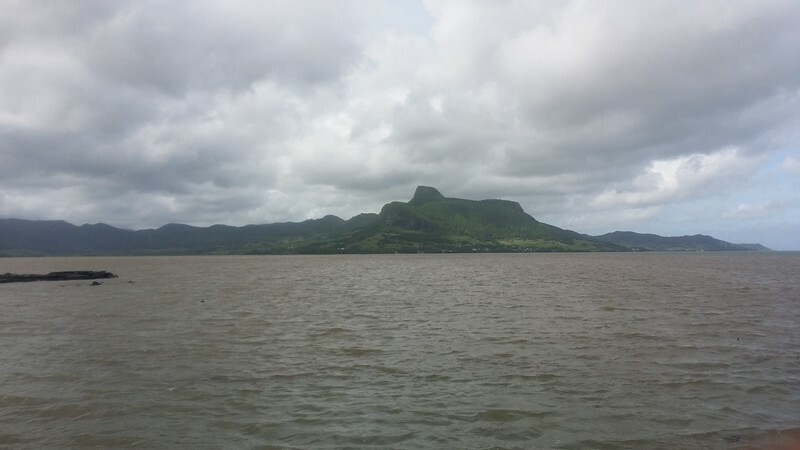 The journey back to Mahebourg. 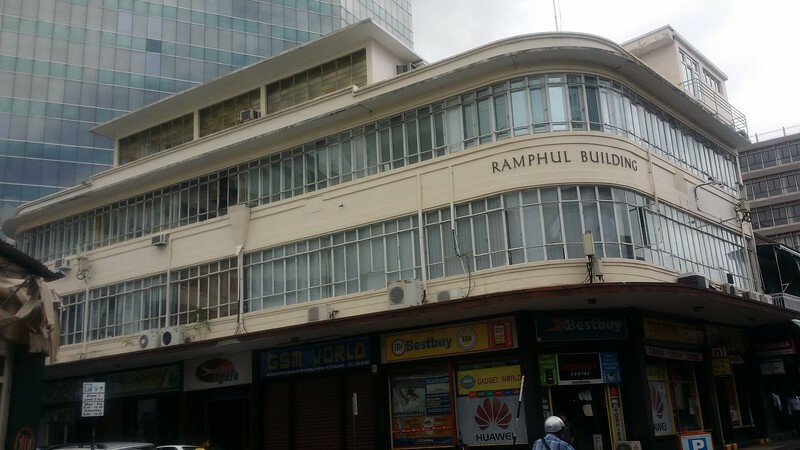 Just across the road from the Port Louis waterfront is the Port Louis market area where the commercial centre of Port Louis is located and where only a handful of high rise buildings are because most of the offices and businesses have shifted to Ebene, the new information technology hub. 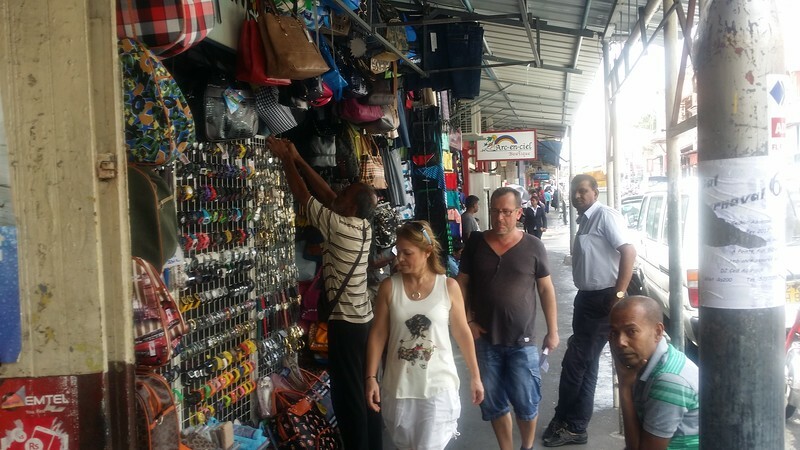 Since the Victorian times, this market has been the centre of economy and the best place to blend and mix with the locals. 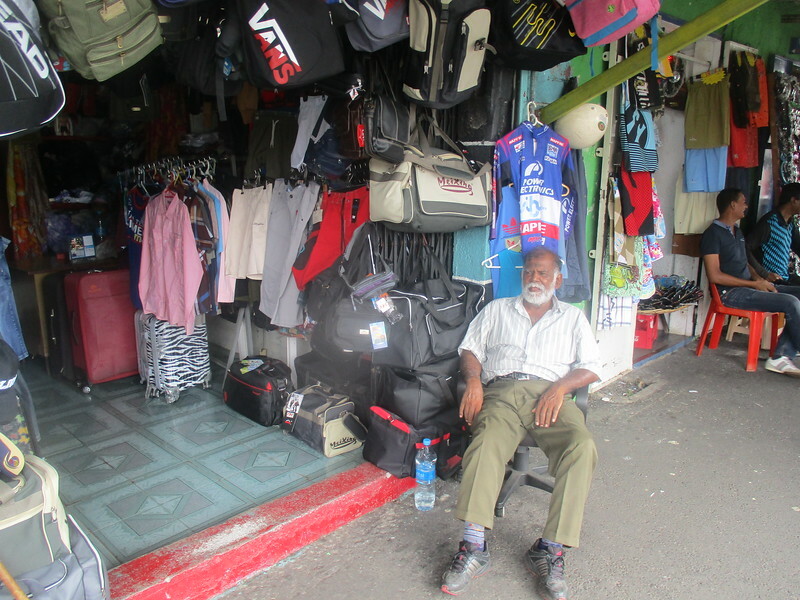 I walked around the market area with an eye looking at the dark sky and clouds looming above me. 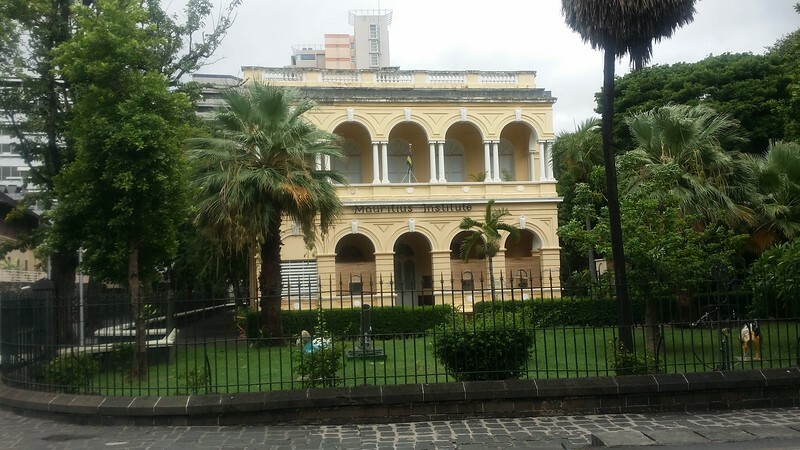 I began my retreat back to the bus station, passing colonial buildings and well maintained public parks which was along the way there and I didn’t want to be caught in a likely thunderstorm as I could hear the distant thunder in the sky. 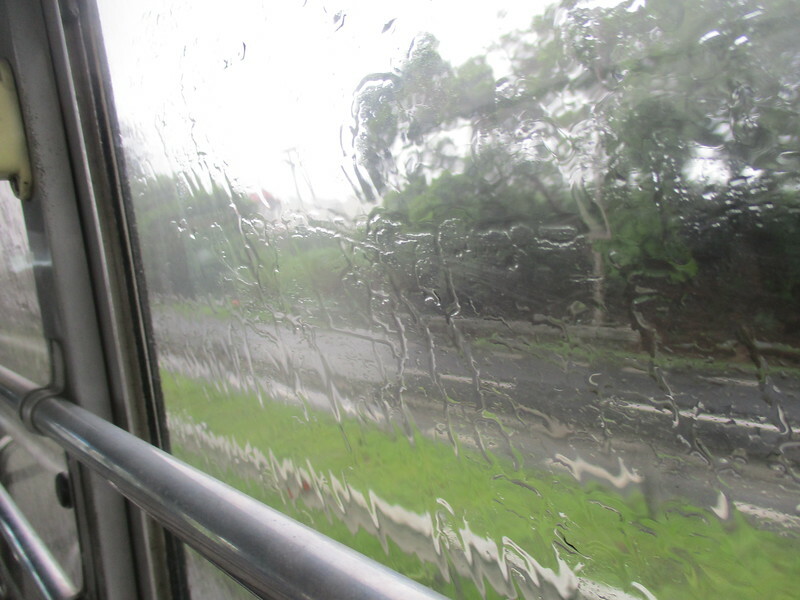 I was right about the weather though, as soon as I embarked the bus the whole sky over Port Louis opened up. 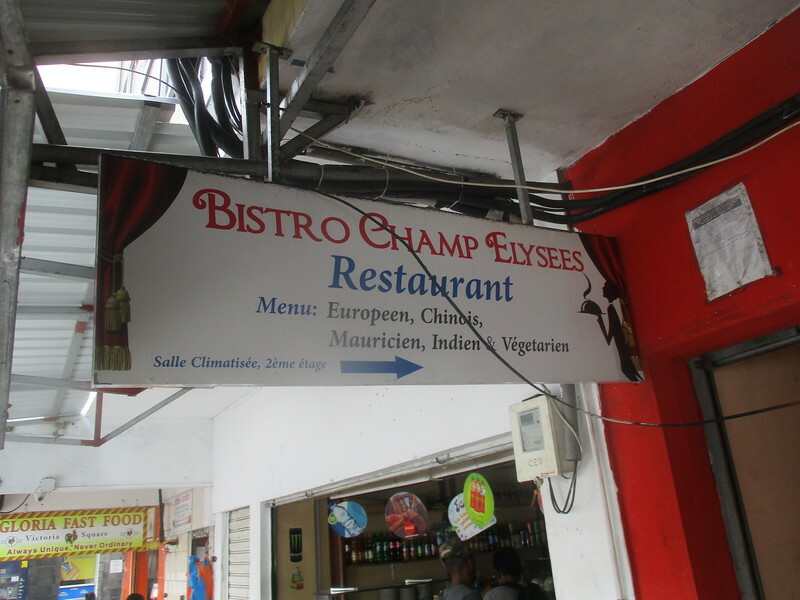 The plan to stop by the town of Ebene had to be cancelled as it was raining heavily until I reached Mahebourg. 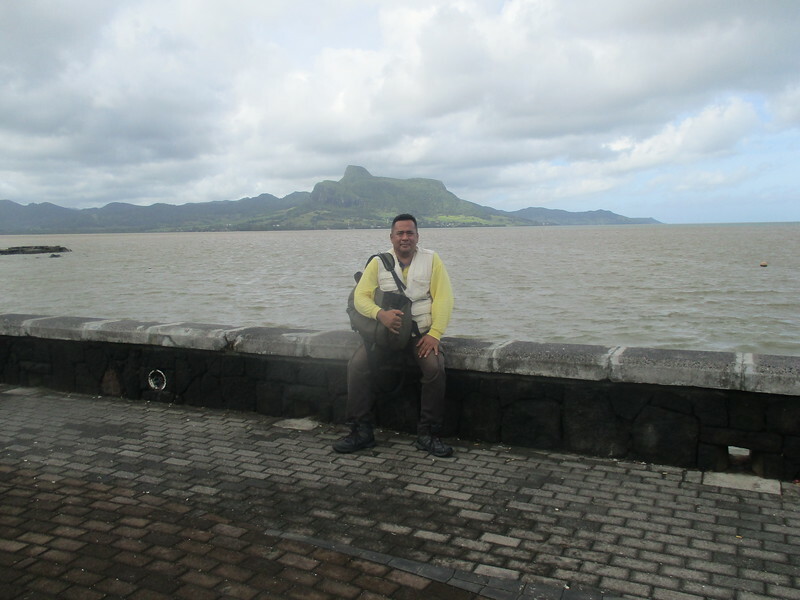 It was still drizzling when I arrived Mahebourg but I had a few hours of light left for the day and I took a walk along the Mahebourg waterfront to enjoy the views that was offered. 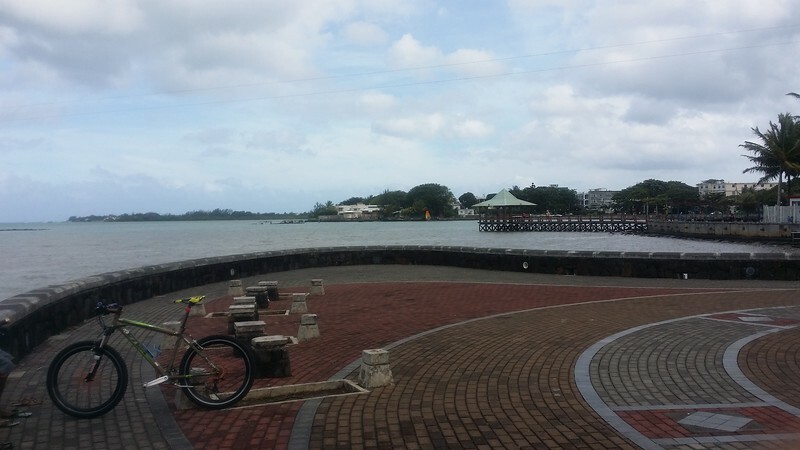 Part of the clear crystal waters had turned murky due to the effect of the heavy storm that had been raging the area. 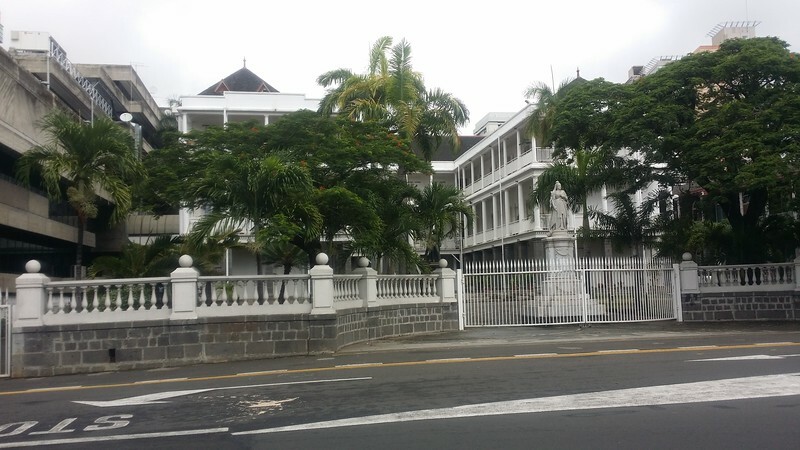 I was also thinking of hiring a car to visit the western part of the island where it was mentioned to have the best beach where high class resorts are located and known as the playground of the rich and famous. 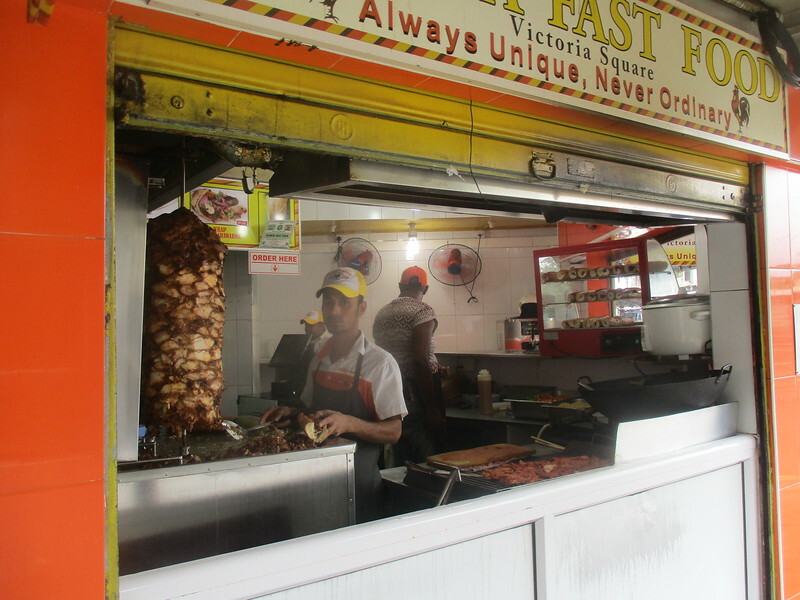 Might bump into some movies stars ………..